It’s impossible to be an expert at every single piece of your business. I know this not only because I’ve owned 3 different businesses but also because I’ve tried that route and it doesn’t work. What I’ve learned along the way- in my 26 years of entrepreneurship- is that you must throw yourself into the part of your business that gets you excited. The part that wakes you up in the middle of the night because you just had a flash of genius. I give a ton of free advice, tips and knowledge on the Omaginarium blog. I’ve also offered many a free session at speaking engagements. Here’s what I’ve noticed: the people who respect their businesses and my knowledge and those who are seriously committed to growing their businesses are grateful for the free stuff but are also willing to pay for knowledge and guidance. There’s just so much time to be meeting for coffee or a glass of wine. Actually I don’t have that time anymore. Personally, I have paid for so much guidance and taken so many classes in the past few years you would not believe it. And I continue to. That’s right- because knowledge is power, especially in my industry where things change daily. And like you, there’s only so much free stuff I can get my hands on. After that I make the decision to pay. 9 times out of 10 it’s worth it. 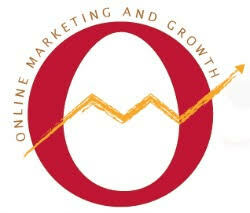 That your online marketing strategy is nowhere to be found online..
And that you need to get a grip on your SEO…. And you know you need to do something NOW before 2019 gets away from you too…. Then you can decide if this is just what you need or if you need more. Often times, when I used to have the luxury of time and, could offer something like this for free, or over a latte, it was truly all someone needed- a roadmap, an evaluation, a brainstorming session, and a little support…and they were on their way. Sometimes they decided they wanted more. You’ll decide, not me. There will be ZERO pressure, obligation, strings, bait and switch or any other form of manipulative sleazy sales tactic in this one time session. Why? Because I HATE when that is done to me and am super sensitive to that very rampant tactic. So no “free session” that turns into 15 minutes of value and 15 minutes of selling you on a paid service ‘which you’ll really need to take advantage of if you really want to grow your business’. You know what I’m talking about. I hated it when that was done to me and I won’t do it to you. Because I respect you and your intelligence. And your time…..so I ask the same respect. I just can’t give it away for free anymore. The One Time Power SEO Session is a one time $179 fee through September 30, 2019. After that, the price bumps up to $229. The more time you have to implement the more results you’re going to see. Please note: Once booked I will be emailing you with a short questionnaire to be completed and returned at least 24 hours prior to our session. It’s short/don’t panic.